These deluxe reissues of great albums fail to shed new light on Calexico or their music. The world is full of great rock bands, but many of them sound like they could be from anywhere. Move them halfway across the globe and it won't matter; they'll still sound the same. Some bands get a leg up by working in a genre -- such as blues (Delta, Chicago, etc.) or bluegrass -- that's nailed to the map until the end of time. You get the sense that the apocalypse could come and practitioners of traditional Celtic music would fight the good fight and keep those forms very much alive and connected to their roots. Few rock bands, though, create a sense of place. One prominent exception is the Pogues, who mix traditional Irish songcraft with a punk aesthetic to create music that speaks not only of Ireland's green fields, but also its alleyways and bars. Creedence Clearwater Revival created a cozy, reverb-laden sound that sounded like it echoed over the gently moving waters of a bayou. You can't mention New Jersey without seeing the image of Bruce Springsteen standing above it like some patron saint. Springsteen's an exceptionally good example, because he's created songs that not only sound to him like his native New Jersey, but that also paint pictures of New Jersey for the rest of us. At this point -- to those of us who have never visited it, anyway -- you have to wonder if our perception of New Jersey isn't totally the result of listening to Springsteen songs. Perhaps what makes artists like the Pogues, Creedence, and Springsteen so compelling to the rest of the world is that they actually create a mythic version of their homes. That brings us to Calexico. Calexico got its start, as so many cool things do, in the swirl around Howe Gelb's loose collective of musicians Giant Sand. Singer and guitarist Joey Burns met percussionist John Convertino while playing in the band. The two soon embarked on their own venture, Friends of Dean Martin (later renamed Friends of Dean Martinez for legal reasons). After that ended, the two backed up recordings by artists such as Richard Buckner, Victoria Williams, Vic Chesnutt, and Barbara Manning, applying a ramshackle quality to everything they touched. They finally settled on the name Calexico after recording Spoke in 1996, and from there it's been a steady evolution to the jazzy group of mariachi enthusiasts we know today. 1998's The Black Light was an intriguing mix of actual songs and song sketches that showed the band's noir tendencies. 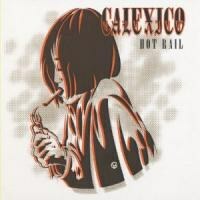 It was 2000's Hot Rail, however, where the Calexico sound announced itself with a flourish. From the opening strum and newly added mariachi horns of "El Picador", Calexico now trafficked in a sound that was as big as the landscapes around their adopted home of Tucson, Arizona, and which opened up vistas in the listener's mind. With the addition of an honest to goodness horn section to their sound, Calexico no longer sounded merely dusty. Now they were sounding mythic, creating a vision of the American Southwest with songs like "Crystal Frontier", "Sonic Wind", and "Drenched" just as much as they were documenting what they saw. 2003's Feast of Wire refined that sound even further, and songs like "Sunken Waltz" and "Across the Wire" found the band further exploring the subtleties that instrumentation like accordion and pedal steel guitar could provide. They were still dabbling in washes of sounds that masqueraded as songs, though, so it's little wonder that 2006's Garden Ruin found Calexico exploring more traditional (and mainstream) songwriting. To this listener, Garden Ruin didn't work very well, but I held out hope that it would stand as one of those transitional albums you have to endure in order for the band to find a new terrain. Those hopes seem to have been realized with 2008's Carried to Dust. It contained a nice blend of everything the band had tried before, marrying the conventional songwriting with the band's more expansive tendencies. With guest spots from folks like Iron and Wine's Sam Beam (who had collaborated with Calexico for the earlier In the Reins EP), Pieta Brown, and Tortoise's Douglas McCombs, the album also reinforced the impression that Calexico is beginning to become a very creative collaborative community in the Giant Sand vein. 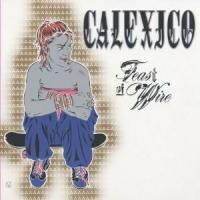 Some might argue, though, that Hot Rail and Feast of Wire represent Calexico's "golden age", when their sound was still fresh on the vine. Those people might be intrigued to know that the two albums are currently being reissued in deluxe packages (apparently available only as imports in the United States). They should also know that these reissues are a very mixed bag. The original albums, of course, are top-notch. But you have to wonder what kind of thinking went into the bonus discs. Calexico have always been fans of letting others remix their songs, and the results are often very interesting. If nothing else, Calexico gives its collaborators free rein to go wherever they want. But these tracks are all over singles, EPs, and tour CDs that dedicated Calexico fans already have or can easily obtain. The few non-remix songs that appear, such as "Convict Pool" or their cover of Love's classic "Alone Again Or", are also readily available (those two specifically on the recommended Convict Pool EP, which is worth owning in its entirety for songs like "Sirena" and the band's cover of the Minutemen classic "Corona"). It seems a scattershot way of putting together a deluxe edition, and you have to wonder what the point is. With all of the truly excellent live recordings floating around, why not add a concert disc instead of these grab-bags of b-sides? For the curious, there are better ways to spend your Calexico dollar. The remixes and such do provide a clue, though, as to why Calexico never seem to face challenges to their authenticity. You'd think that a couple of transplants settling into the border music of the American Southwest would find their motives questioned. There's no question, though, that Burns and Convertino have embraced the music and culture of their adopted home, and that they devote a great deal of energy to promoting the music and musicians they find there. All-female mariachi group Mariachi Passion, Salvador Duran, and Sergio Mendoza are but a few of the artists who enjoy a fruitful give-and-take with the Calexico camp. The aforementioned remixes by Jazzanova, Panoptica, Gotan Project, and others also speak to Calexico's open-minded approach to their music and to the region. It seems that mythmaking is very much the collaborative effort. The remixes are interesting, by and large, and are often very separate beasts from the original songs -- these are much, much more than your typical 12" remixes with an eye towards keeping people on the dancefloor. That said, the deluxe editions of Hot Rail and Feast of Wire do little to shed light on an important period in Calexico's development, and they offer only a glimpse into the larger picture of what Calexico have come to represent in their community and in the musical world.